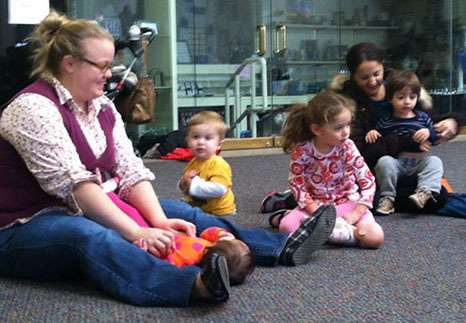 Tifereth Israel offers an array of wonderful and engaging programs for our pre-K members and their adults. This special Shabbat time in the chapel is for everyone who wants to join us for some songs, stories and snacks. 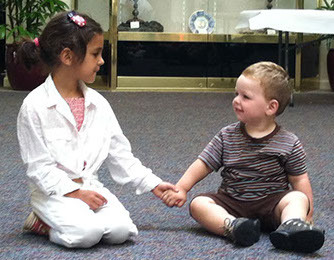 Children of all ages are welcome to this mixed age group of toddlers and preschoolers. We meet on Saturday morning each month at 11:00 am. Break bread with the babies! This fun and low-key program is a great way to spend time with other young families and enjoy a delicious dinner, too. For more information about programs for young families, contact Morgan Levin.